Born and raised in Tokyo, Naoko studied at Denenchofu Futaba Gakuen from primary school through high school. In pursuit of a career in music, she entered Tokyo College of Music where she graduated at the top of her class. After completing her post-graduate studies at the Tokyo College of Music Graduate School, she was invited to appear at the prestigious Yomiuri Shinjin Ensoukai (Yomiuri Concert of New Musicians and Artists), NHK-FM Fresh Concerts and other venues for up-and-coming artists. 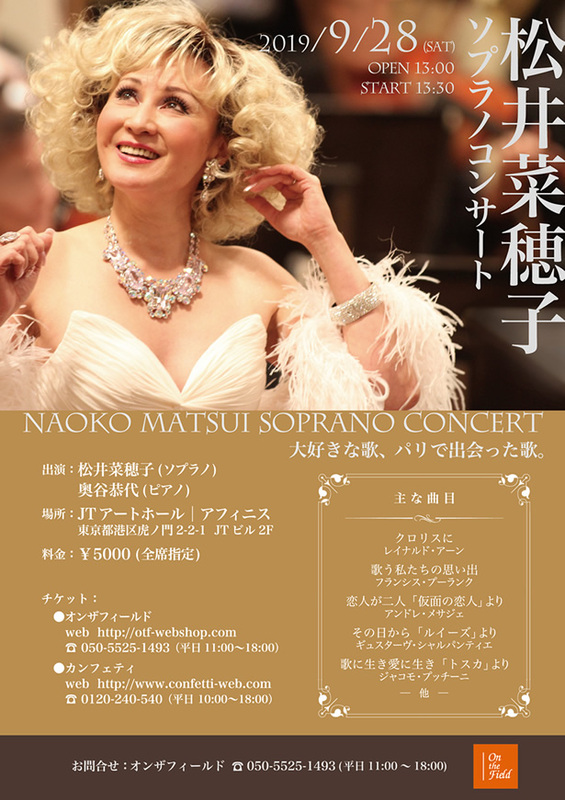 During these early years, Naoko’s achievements in major domestic competitions include award-winning performances at the 28th Bunka Radio Broadcasting Co. Music Competition, the 18th & 20th Japan-Italy Vocal Concorso and the 51st Music Competition of Japan as well as excelling at high-profile auditions such as the NHK-FM Western Music Auditions and Tokyo Bunka Kaikan Concert Auditions. In 1994 and 1998, Naoko travelled to Italy, the home of opera, where she studied in Milan. Her operatic debut in the role of Frau Fluth in Die Lustigen Weiber von Winsdor was followed by numerous principal roles including Cio Cio San in Madame Butterfly, Lady Fiametta in the operetta Boccaccio, Violetta in La Traviata, Susanna in Le nozze di Figaro, Lucy in Menotti’s comic opera The Telephone and Angèle in Der Graf von Luxemburg. 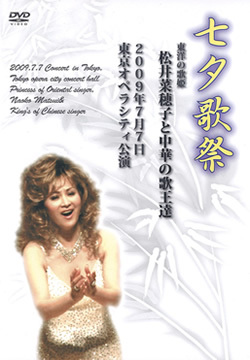 From 1988 to 2008, Naoko has hosted an annual recital entitled the Naoko no Kigaru ni Classic Shima Show. 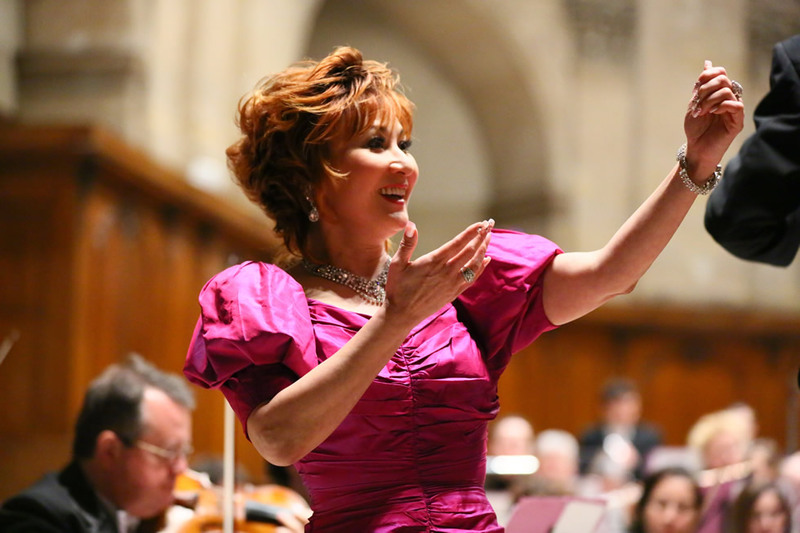 With the aim of breaking the conventional classic concert mould, she engages the audience with insights, anecdotes and comments between pieces, striving to make the classical music experience more relaxing and approachable in inimitable way. She also has been delighting her growing fans with annual Christmas dinner shows held at the Kihinkan Guest House, Grand Prince Hotel from 1993 to 2008. Since launching concert activities in China with her debut concert in Shanghai in November 2005, she has performed before audiences in Shenyang, Fushun, Changchun, Beijing, Dalian and other major venues in China. In October 2009, Naoko planned and held the 2008 Sichuan Earthquake charity concert in Chengdu to raise money for the victims of this tragedy, personally calling on Japanese companies for their cooperation and support. Between 2007 and 2010, she invited top-class Chinese performers to Japan where their talents were showcased in joint concerts before Japanese audiences. Her many contributions to Japan-China Friendship through the borderless language of music were recognized by the Chinese government in October 2010 when she was chosen as one of the “60 Japanese who have made a valuable contribution to Japan-China Friendship” and received a commendation at an event celebrating the 60th anniversary of the founding of Japan- China Friendship Organization held in the Great Hall of the People. After her concert at the Beijing National Theatre in June 2011, she decided to suspend her production and related performance activities in China to focus on Europe. In July 2011, the concert Enchantement d’été à Paris was held at the venerable Salle Gaveau and was a resounding success! 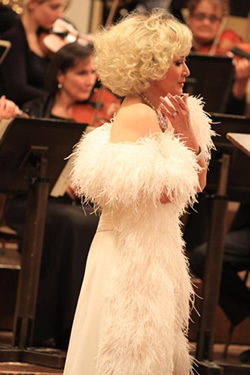 In 2012, Naoko continued her activities in France with a concert at the famous Théâtre Musical du Châtelet à Paris in April followed by events in Massy and Yerres with the Orchestre de Massy in September and finally a performance with the Orchestre Symphonique Lyonnais at La Grange au Lac in Evian in October. 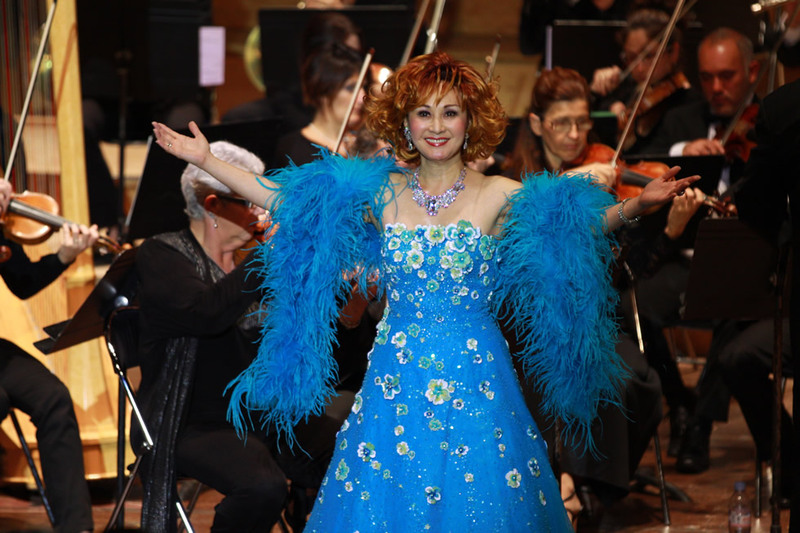 2013 opened with a New Year’s concert at Oratoire du Louvre church in the heart of Paris, auspiciously on a date that celebrated both the Western and Chinese new year. 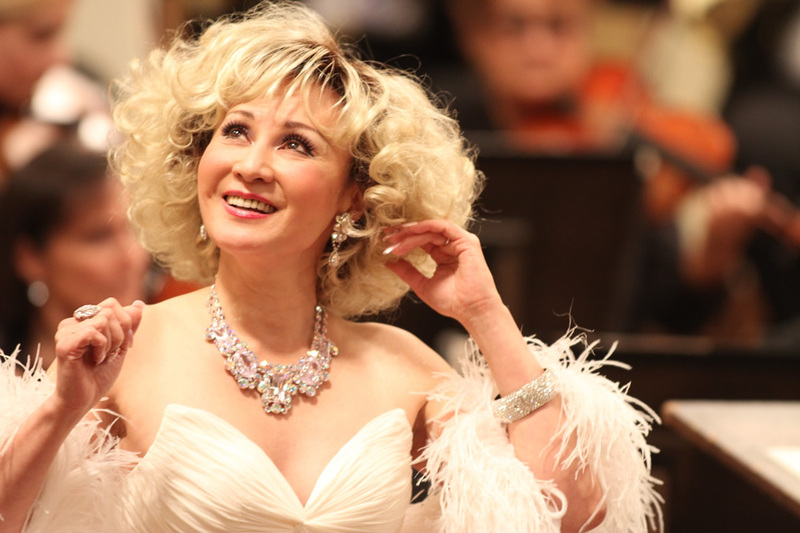 It was followed by a soprano recital at the Salle Cortot in April, and two concerts in May – Opéra de Vichy (France) on May 11 and Victoria Hall (Geneva, Switzerland) on May 17. Autumn of 2013 began with concerts in Austria in memorable musical sanctuaries like the Musikverein in Vienna and the Mozarteum in Salzburg. In 2014, Naoko decided to have a better proximity with her audience in choosing smaller concert halls (but with perfect acoustic) and adding original pieces to her classical repertoire: Japanese, Chinese and French songs. Apres un parcours scolaire classique a Tokyo, sa ville natale, Naoko decida d’entreprendre une carriere musicale. Sa voix deja prometteuse lui ouvrit les portes du Tokyo College of Music d’ou elle sortit major de sa classe. Elle fit ses premieres apparitions dans le cadre du prestigieux Yomiuri Concerts destine a promouvoir les jeunes espoirs. Les prix gagnes dans de nombreux concours confirmerent le talent de Naoko (par exemple, au 28eme Bunka Radio Broadcasting Music Competition, au 18eme et 20eme Concours vocal Italo-japonais et au 51eme Concours musical du Japon). En 1994, Naoko poursuivit sa formation a Milan, la capitale de l’opera, et obtint en 1998 ses premiers roles : Frau Fluth dans Die Lustigen Weiber von Windsor, Ciao Ciao San dans Madame Butterfly, Lady Fiametta dans Boccaccio, Violetta dans La Traviata, Susanna dans Les Noces de Figaro, Lucy dans The Telephone, Angele dans Der Graf von Luxembourg. De 1988 a 2008, Naoko institua un recital annuel, le Naoko no Kigaru ni Classic Shima Show ou, dans son style tres chaleureux, elle faisait participer le public afin de briser le moule conventionnel du concert par une approche plus ludique de la musique classique. De 1993 a 2008, le succes de son Diner de Noel au Grand Prince Hotel de Tokyo ne s’est jamais dementi. A la suite de sa performance a Shanghai en 2005, Naoko Matsui enchaina une longue serie de representations en Chine (Shenyang, Pekin, Dalian, Fushun…). Elle organisa en 2009 un concert de charite au profit des victimes du terrible tremblement de terre du Sichuan en faisant appel a de grandes societes japonaises. A la meme epoque, elle invita de nombreux talents chinois a participer a ses concerts au Japon. Ses multiples contributions en faveur de l’amitie entre la Chine et le Japon ? grace au langage de la musique qui ne connait pas de frontieres ? valurent a Naoko d’etre citee par les autorites chinoises parmi les ≪ Soixante personnalites ayant hautement contribue a l’amitie sino-japonaise ≫. C’est ainsi qu’elle eut l’honneur d’etre invitee a se produire au Palais de l’Assemblee du Peuple pour le 60e anniversaire du traite d’amitie entre les deux peuples. Apres un concert au Grand Theatre National de Pekin en 2012, Naoko Matsui decida d’explorer d’autres rivages et choisit l’Europe. Des relations avec l’Orchestre de Massy et des solistes de l’Opera de Paris aboutirent a l’organisation d’un concert a la Salle Gaveau en 2011. L’excellent accueil du public milita en faveur de la poursuite de son partenariat avec ce remarquable orchestre. Ainsi, l’annee suivante, Naoko se produisit au Chatelet, a l’Opera de Massy puis a Yerres, enfin a Evian (accompagnee, pour cette occasion, par l’Orchestre Symphonique de Lyon). 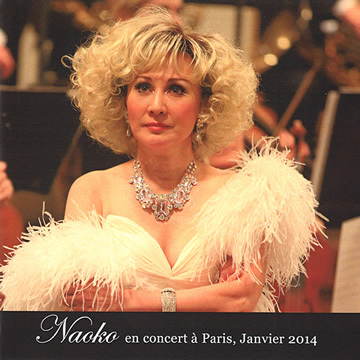 En 2013, apres un concert a l’Oratoire du Louvre a Paris a l’occasion du Nouvel An, Naoko donna un recital a la Salle Cortot avec le talentueux pianiste albanais Genc Tukici. Recital suivi de concerts a l’Opera de Vichy et au Victoria Hall de Geneve. L’annee se termina avec deux representations dans ces sanctuaires immuables de la musique : le Musikverein de Vienne et le Mozarteum de Salzbourg. En 2014, Naoko decida de donner plus d’importance a la communion avec le public en choisissant des salles plus petites (sans sacrifier a la qualite de l’acoustique) et prit le parti d’ajouter a son repertoire classique des pieces inedites ? francaises, japonaises ou chinoises. Dans l’etat actuel, Naoko habite a Paris et elle donne des concerts au Japon regulierement. 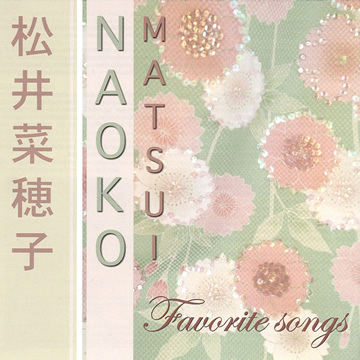 Matsui Naoko c Copyright 2019 All Rights Reserved.